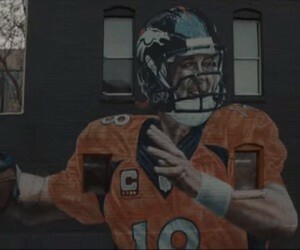 About – Gatorade pays tribute to the Peyton Manning using his own letters. Pam Frenzel, Jeff Saturday, Eli Manning, Demaryius Thomas, Brandon Stokley & Derek Jeter. Jon Scott: Ah, there it is. David Cutcliffe: This is the thank you letter I received right when he was leaving college. Pam Franzel: This is a letter my husband and I received after our son, Tyler, died. Jeff Saturday:This is a letter I’ve got the year that I retired. Eli Manning: Uh, after I was drafted. Demaryius Thomas: This is what Peyton wrote to me right before the Super Bowl. Jon Scott: I hope this letter finds you well. Pam Franzel: I was looking at some pictures yesterday and it made me think of you. Tony Dungy: We’ve had a wonderful seven years together. Jeff Saturday: It has been an honor to call you a teammate for thirteen years. Demaryius Thomas: I am grateful for your love and support, and I know you have my back. David Cutcliffe: I feel like we’ve had a special bond. Derek Jeter: It has been a privilege to watch you play over your career and I’m honored to call you a friend. Tony Dungy: You did it the right way. Brandon Stokley: And I knew that you loved to win and hated to lose with the same passion as me. Archie Manning: You know that I’ve always looked up to you. Jeff Saturday: To play as long as you did, and at such a high level is incredible. Derek Jeter: I’ve great respect for your work ethic and team-first attitude. Tony Dungy: It wasn’t always easy. Chris Mortenson: Some things you just can’t control. It’s ok.
Jeff Saturday: You’re the best teammate I could ever ask for. Brandon Stokley: It was an honor to play with you in Indy and again in Denver. Demaryius Thomas: To be Broncos together. Chris Mortenson: It’s been a great ride, keep grinding. Brandon Washington: I wish you all the best in the next chapter of your life. – Tell the family hello. Eli Manning: I’m proud of you.